Ospina is a municipality in the Nariño Department. It was founded on1 October 1664 by María Mués Calcan. 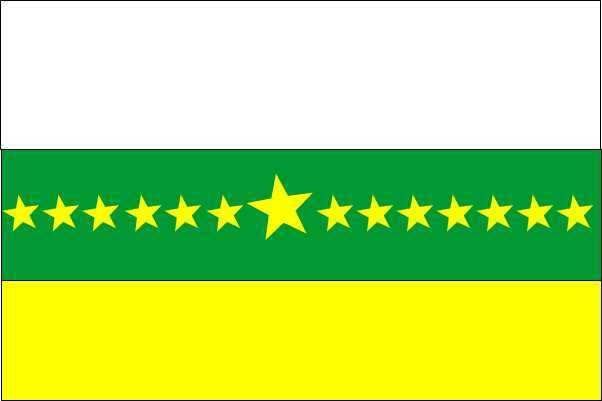 The flag of Ospina is horizontally divided yellow-green-white and charged with 13 stars in a row with the central one bigger then others. 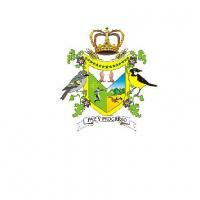 "Yellow represents the resources of our municipality and its people. Green represents the green páramos. White peans the purity of our people. The stars represent the "veredas" (settlements) forming the municiaplities, the bigger star representing the municipal capital." Páramo is a neotropical ecosystem found in Colombia, Venezuela, Peru, Costa Rica and Panamá. As isolated and fragmented ecosystems, páramos exhibit a high level of speciation and endemism. More on Wikipedia. The Ospina páramo is known as Páramo de Paja Blanca (White Straw Páramo).